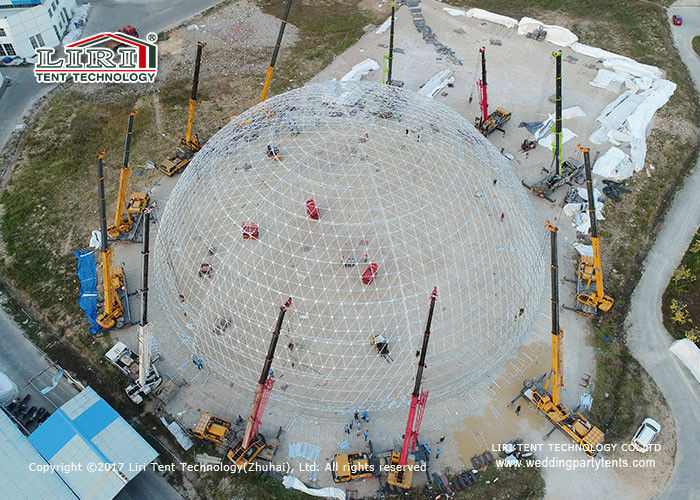 Geodesic dome tent is a special design for outdoor exhibition event. 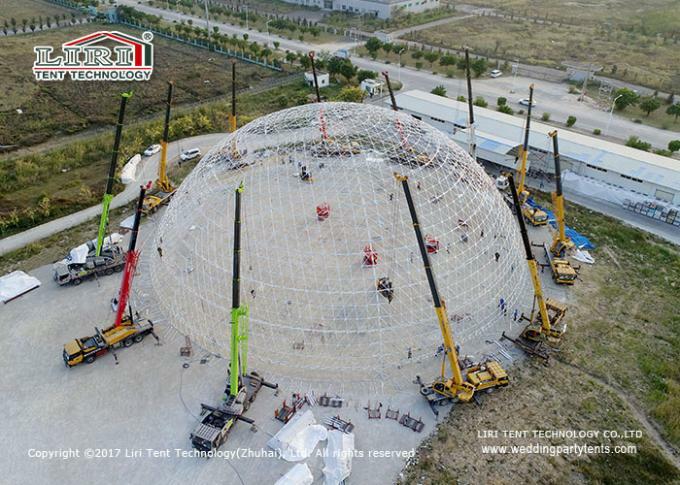 LIRI TENT produce any size half sphere tent, from dia3m to 40m. 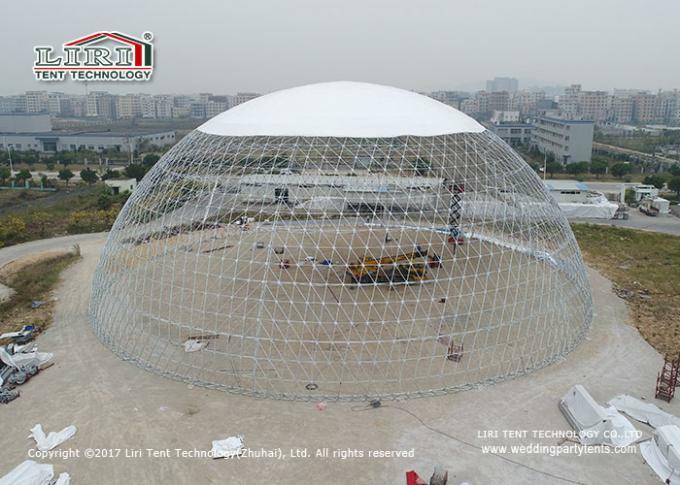 Dia 30m Transparent PVC Geodesic Dome Tents, is available with clear transparent PVC cover, with white PVC cover, any other color PVC or with mixed PVC. The frame is hot dipped galvanized steel, never get rusty. Inside the tent you can see all side view.